Nantes emailed Cardiff last Thursday in relation to the payment terms and the Welsh club's failure to transfer the first of three instalments. A source at Cardiff City told the BBC that they were prepared to pay Nantes the fee once they had "all the facts" but were surprised the French club was making demands at the point of time. A private search funded by Sala's family discovered the Piper PA-46 Malibu plane carrying him from Nantes to Cardiff within hours of starting the operation on Sunday. 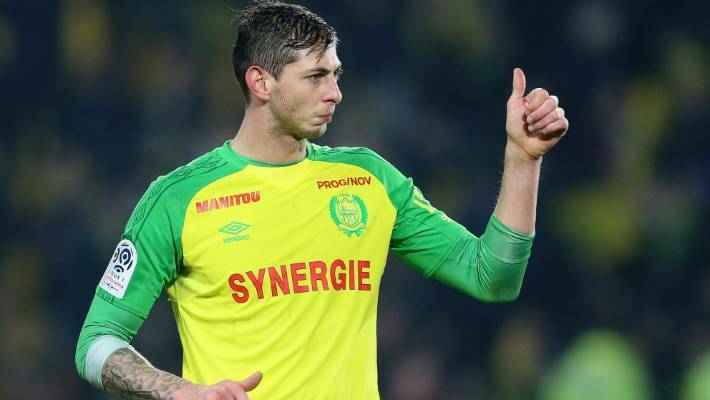 A Nantes supporter stops by a poster of Argentinian player Emiliano Sala outside La Beaujoire stadium after the footballer went missing in January.